Spring is a fabulous time to capture some updated family images, and what better time than when the kids are on holidays! We are offering 15 of our 30 minute mini sessions for just $375, including your shoot, and 10 hi resolution files on disk, in both colour and black and white, fully edited, to print as you please. – Sessions can be held Wednesday to Wednesday, excluding Sunday. Saturday sessions may be limited. 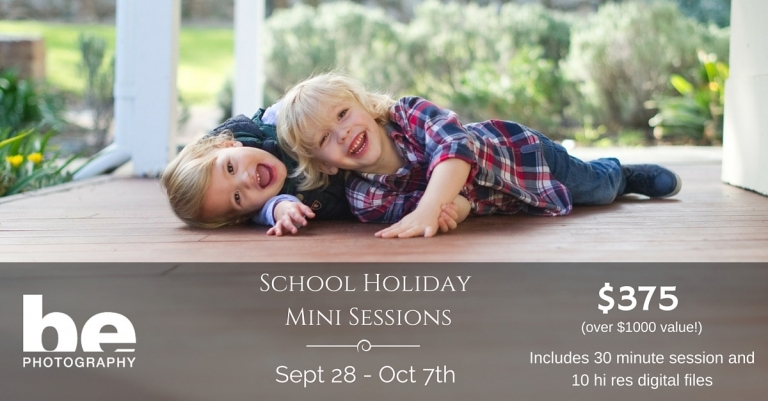 – Session fees are not refundable, however reschedules may be arranged during the mini session week. – Edited images will be placed in an online gallery a week after your session for you to make your selections. Hi res files will be made available for download once selections are made.